After taking part in the Monty Roberts Introductory Course, you will go home and develop the skills taught to you during the ten-day course. 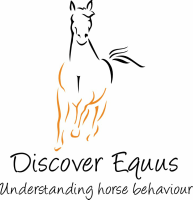 It is during this period of time where you will strengthen your techniques, practicing on as many horses as possible, and really learn to read the horse, gaining insight into its behaviour. After you have submitted various videos of your work and studied the folder, Anna will invite you back to take your exams. This will consist of three days, where on the first day you will have the chance to practice and have Anna prepare you for the exams that follow. You will then have to complete both practical and written exams on the following two days. Anna offers the chance to come two days prior to the start of the Exams, so she can work with you and help prepare you further. After successfully completing this, you will receive a certificate, signed by Monty Roberts, stating you have completed the Introductory course. You are then eligible to go on to partake in the Advance Course, at Flag Is Up Farm, in California. Anna is one of a limited few Instructors capable of teaching the Advance Course. £370 for three days, from 9:30 am to 5pm, including certificate signed by Monty Roberts. ​Anna strongly recommends coming an additional two days prior to the Exams where she can help you to prepare, improving your likelihood of passing.